Leon Knopoff, an internationally renowned scientist who served on UCLA's faculty for 60 years and made significant research contributions in physics, seismology and music, died Jan. 20 of respiratory failure, surrounded by his wife and children at their home in Sherman Oaks. He was 85. The author of more than 360 scholarly publications and editor or co-editor of five books, Knopoff received many honors, including election as a member or fellow to the National Academy of Sciences (1963), the American Academy of Arts and Sciences (1965), the American Association for the Advancement of Science (1964), the Guggenheim Foundation (1976) and the American Philosophical Society (1992). He received four outstanding teaching awards from UCLA's physics department. He earned the Medal of the Seismological Society of America (1990) and the gold medal of the Royal Astronomical Society (U.K., 1979). 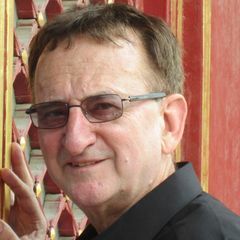 Knopoff was awarded an honorary doctorate from the University of Strasbourg (2004) and was named the first honorary professor of the Institute of Geophysics of the China Earthquake Administration (2004). He supervised 38 Ph.D. students, as well as 39 postdoctoral scholars from 17 countries. 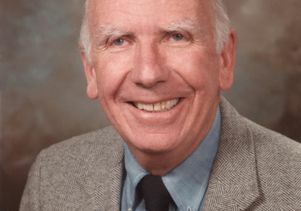 He served on the editorial board of the journal Science (1985-1990) and on the California Governor's Earthquake Council (1972–74). 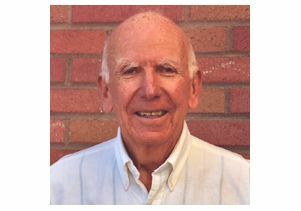 "Leon Knopoff's career was exemplary, replete with numerous examples of outstanding contributions to fundamental geophysics," said his colleague, Paul M. Davis, a UCLA professor of geophysics. "His trademark approach has been to apply developments in mathematical physics and condensed matter physics to seismology, contributing both to physics and geophysics. Leon was extremely creative, unusually prolific and elegant in his choice of research topics. His service to his university and profession has also been extraordinary. His selfless cooperation has been truly global. "As a teacher, he reduced complexity to its simplest terms with an infectious enthusiasm and a caring empathy for his students. His graduate students, recognized for their rigorous training in fundamentals, have been sought after and have gone on to successful careers in academia and industry." Knopoff earned his Ph.D. in physics and mathematics from the California Institute of Technology in 1949 and came to UCLA the following year as a research associate in geophysics. He was promoted to associate professor at the Institute of Geophysics in 1957 and three years later was appointed to full professor at the institute and in the physics department. He served as director of the UCLA Institute of Geophysics and Planetary Physics (IGPP) from 1972 to 1986 and became a research musicologist in 1960 at the newly formed UCLA Institute of Ethnomusicology. Knopoff's research focused on the physics and statistics of earthquakes, earthquake prediction, the interior structure of the Earth, plate tectonics, pattern recognition, non-linear earthquake dynamics and several other areas of solid Earth geophysics. His wide-ranging research interests also included musical perception and the dating of ancient pottery by thermoluminescence. Best known for his theoretical breakthroughs, he also made pioneering measurements of seismic wave velocities and tidal gravity variations at the South Pole. One of the milestones in the evolution of seismology is the representation theorem by Robert Burridge and Knopoff in 1964. It is recognized as the first principle in modern seismology. In addition, a widely cited model by Burridge and Knopoff in 1964 attracted widespread attention in statistical physics and seismology and is regarded as one of the most important models in condensed matter physics. Among the discoveries from his systematic research on the statistics of earthquakes was that most small earthquakes are not genuine predictors of subsequent instability on a major fault; however, they do play the role of a stress gauge. He and his colleagues also found that large earthquakes cluster in space and time. 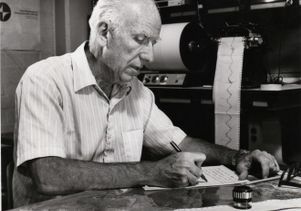 Knopoff worked on the development of a comprehensive theory of earthquakes, including sudden increases in precursory seismicity, aftershocks and foreshocks. "Extreme rigor and thorough consideration of alternate interpretations were hallmarks of Leon's research, and he was known for his exceptional clarity in teaching," said his UCLA colleague, David D. Jackson, a professor of geophysics. "He was also a wonderful mentor." Knopoff visited China in the 1970s, returning there several times to lecture and meet with students and scientists. In September 2000, UCLA's IGPP honored Knopoff's 75th birthday and his 50th anniversary at UCLA with a symposium titled "The Earth: Earthquakes and Seismic Waves." The majority of his former Ph.D. students attended, along with many of his colleagues and former postdoctoral scholars, some of whom came from as far as Australia, China, Germany and Russia. Knopoff and his wife of almost 50 years, Joanne V.C. Knopoff, created an important endowment in UCLA's College of Letters and Science in 2001. The Leon and Joanne V.C. Knopoff Career Development Chair in Physics and Geophysics was the first endowed chair in the basic sciences to be endowed by a faculty member during the Campaign UCLA fundraising effort. The chair supports the research of a promising young scientist in solid Earth geophysics. With their endowment, the Knopoffs encouraged research that will help us better understand patterns in complex systems in physics and solid earth geophysics. Knopoff said at the time, "Joanne and I have benefited so much from being at UCLA that we would like to return the favor. Our lives revolve around UCLA." He recorded an interview with UCLA's Center for Oral History Research in 2003 and continued to work until very recently. Knopoff is survived by Joanne, a graduate of UCLA who has volunteered for UCLA alumni and community programs for more than 50 years. She served as president of Gold Shield, Alumnae of UCLA, an honorary service and philanthropic organization; president of UCLA Design for Sharing, which brings UCLA performing arts to large numbers of public school students who otherwise would be unable to attend performances; and is a recipient of the Alumni Association's annual Award for Excellence in University Service in recognition of extensive leadership and service to UCLA. He is also survived by their three children, Michael, Rachel, and Katie Knopoff Wadley; son-in-law Adrian Wadley; and a grandson, Charlie Wadley. In lieu of flowers, the family suggests that a memorial donation be made to the Leon & Joanne V.C. Knopoff Fund, an endowment for a career development chair for a young scientist at UCLA. Checks should be made payable to the UCLA Foundation with a memo note for the Leon & Joanne Knopoff Fund #9395. Checks can be sent to Kerri Yoder, UCLA director of development, Physical Sciences Division, 1309 Murphy Hall, Box 951413, Los Angeles, CA 90095-1413. A date for a campus memorial service will be announced later. 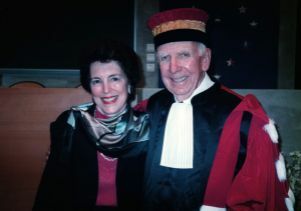 Leon Knopoff In French academic garb after receiving an honorary doctorate in Strasbourg in 2004, with wife, Joanne.